Our delightful pheasant cotton handkerchiefs are excellent value and very versatile. Each cotton handkerchief is decorated with an array of white pheasants, with a white border around the edge. 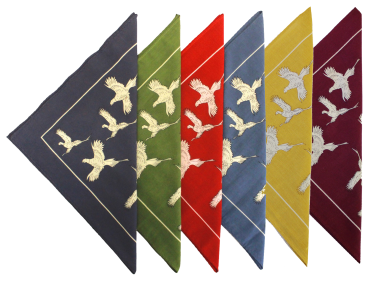 These pheasant handkerchiefs are continuously popular as little gifts and stocking fillers. Our handkerchiefs are 100% cotton and measure 54cm x 52cm approximately.